This past weekend, I was reminded of Mister Rogers’ Neighborhood. Do y’all remember that show where Mr. Rogers seemed to tackle just about every childhood situation with a sense of calm and community? As a younger me, I longed to live in Mr. Rogers’ Neighborhood where everyone looked out for each other. But, funny thing is, as I’ve grown up, I’ve wondered far from the musings of my youth. Now, I don’t think twice about helping a friend or neighbor, but, a sense of community is being able to ask and accept help from others too – right? And that’s where I fall short. You see, I have a hard time asking an old friend to take time away from his family to come help me put on new spark plugs and coils on my daughter’s car…or help me put in a fence…so, I go ahead and call the dealership…or the fence chap. And that’s when I am reminded that this life is not about going it alone; instead, it’s about helping each other out. While I might not be able to help my friend with his car or his fence, I was reminded that I can keep the treats and snacks coming – whether it be Game Day or car-repairing and fence-building day! 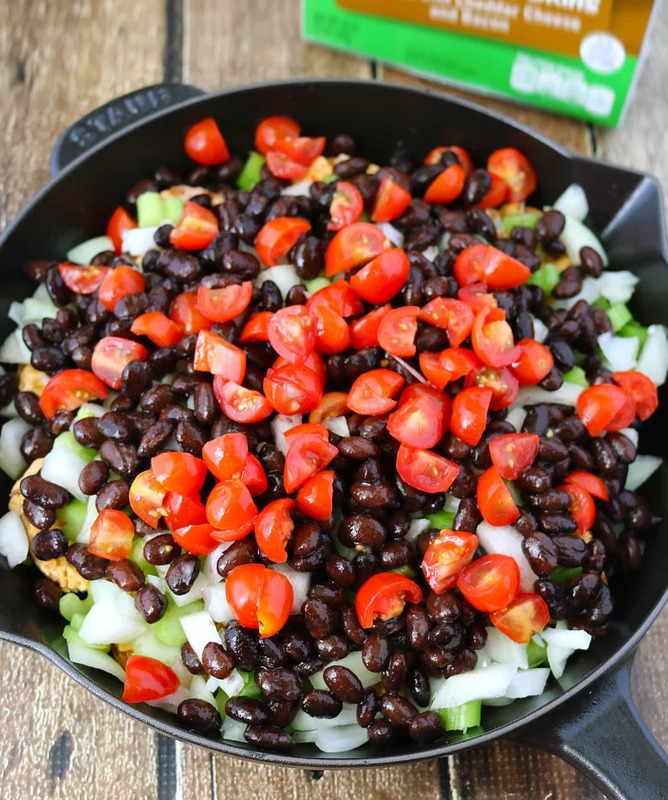 Now, I have made my share of vegetarian Game Day eats, but what I have here today isn’t vegetarian – though it has a ton of veggies in and on it. In fact, this isn’t really a recipe at all – it is more a Game Day (or any day) Snack Hack! 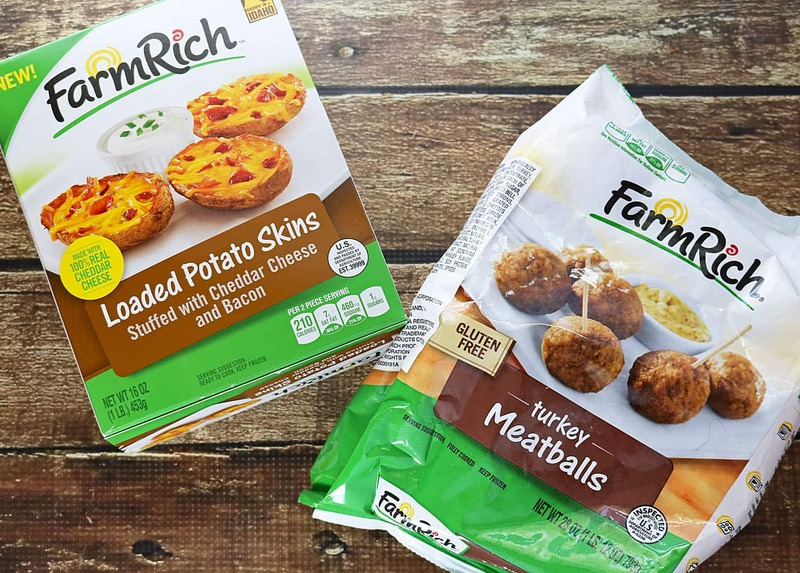 My daughter and I often pick up Farm Rich Hand Stuffed, Real Idaho Potato Skins or Gluten Free, Protein Packed, Turkey Meatballs from Walmart for those times when life throws us for a loop. Whether we happen to have friends over helping us out, or, a group of hungry teenagers over, or, a Game Day Gathering, Farm Rich snacks sure are Real-Life GoodTM! And, during those times, we either make a salad to go with these Farm Rich Snacks or we doctor these snacks up! Then gather everyone around and dig in! This is a quick and easy snack hack that doesn’t require a lot of prep so you can spend more time engaging with the community that is around you! For a Money $aving Coupon and other ways to $ave through the loyalty club, please visit THIS link. Want to WIN a $100 Gift Card to Walmart and 1 Year Free of Farm Rich products? Do You remember Mr. Rogers’ Neighborhood? Are you better at helping or accepting help? The colour alone is gorgeous, let alone all the wonderful flavour and texture in there. An excellent dish, Shashi. Oh I LOVED Mr. Rogers Neighborhood. I swear, we are soul sisters Shashi. It’s a lot easier for me to to give than receive too, my friend. I experience that around here in other ways, mostly asking for help with Hudson. Though I would LOVE to be on the receiving end of this Potato Skin Pile-Up! Looks easy and colorful, and I would call this dinner! See you at 6! 🙂 Have a beautiful day! 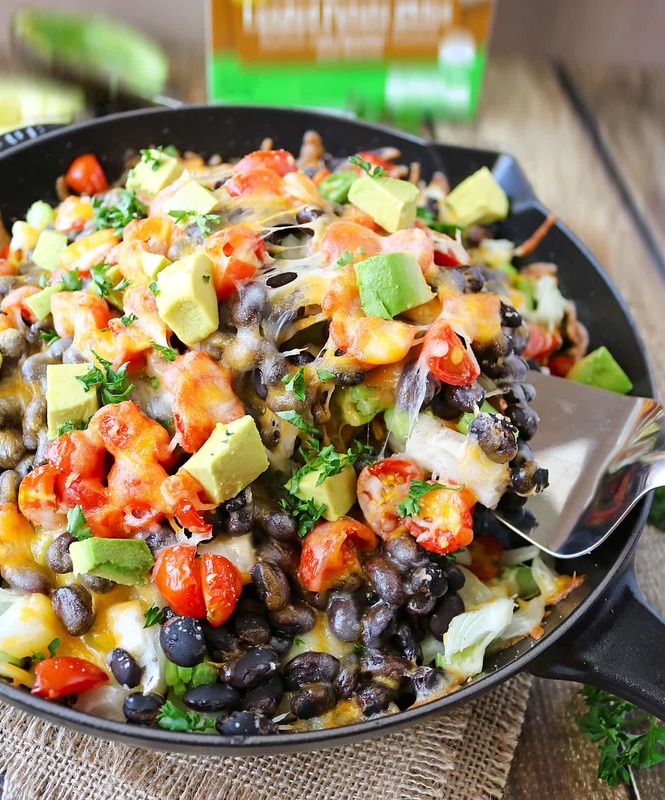 Overloaded dips are my favorite thing ever – totally adding this to my list. I am so much like you! I have such a hard time accepting help–even when I am in the hospital with 2 kids at home. It is just hard. But I have to remember how much I LOVE helping others and let them do it for me. 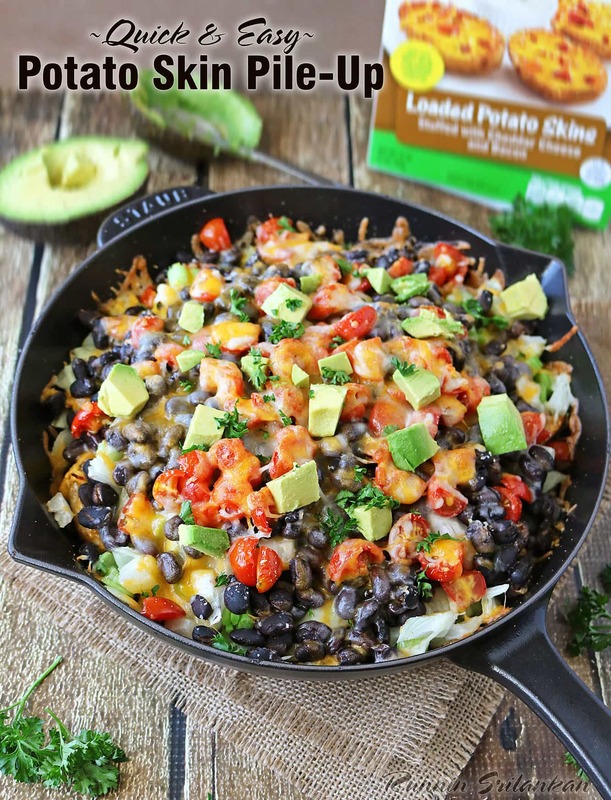 And these potato skins–OH MY WORD!! I have the same issue. I hate asking for help from my neighbors, but I don’t mind when they ask for help. I also would call the fence guy or car dealer. I love this post Shashi, I feel inspired to consider the community building of helping each-other. I too can always pay it back in food! lol! i miss mr rogers and that community! so glad you are able to help friends in that situation. <3 you for it and this dish! You are so right about neighborhoods, Shashi. 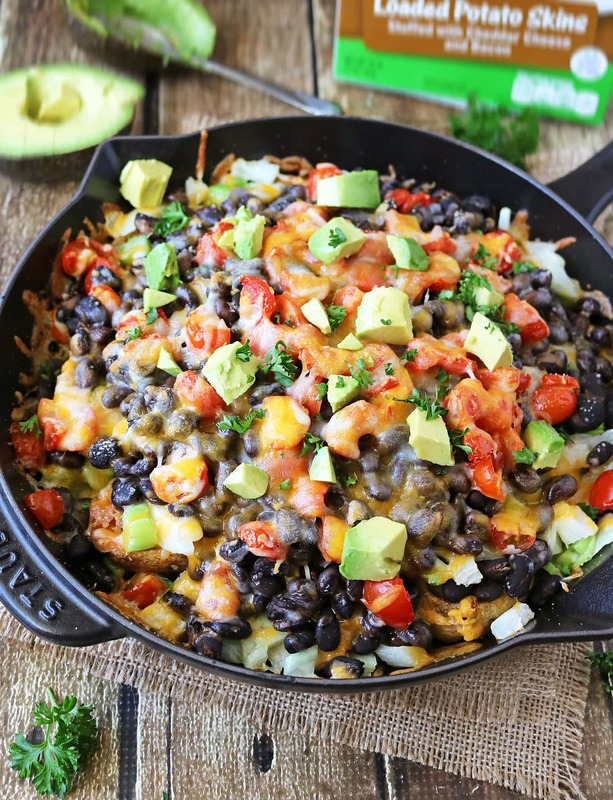 Oh this potato skin pile up looks super flavorful and indulging. Plus, this is super easy too! I wish I could have this for dinner tonight! Wicked potato skins, Shashi! I want to dive right in as you have included all of my favorite toppings. Thanks for bringing back some childhood memories, my friend, and for sharing a fun recipe for game day! so much flavors in there!! looks lovely!! Haha – Thanks Emily! 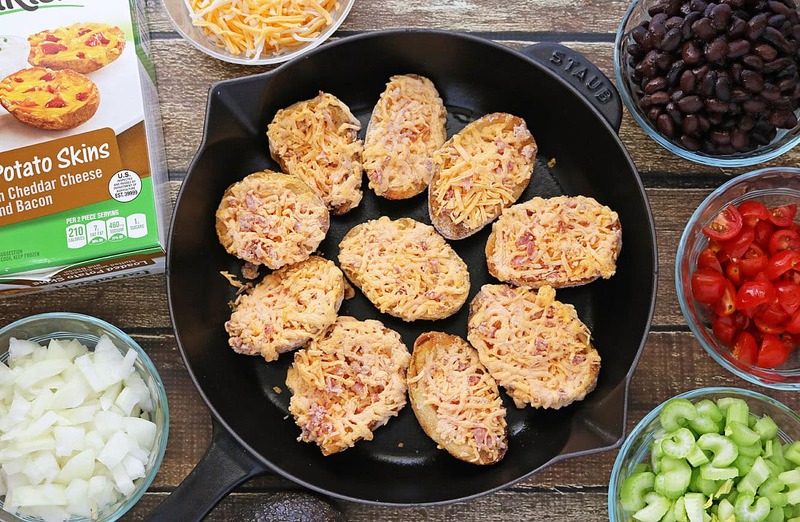 Yes – We adore Farm Rich potato skins in our home! I loooove loaded skins. These look so tasty!